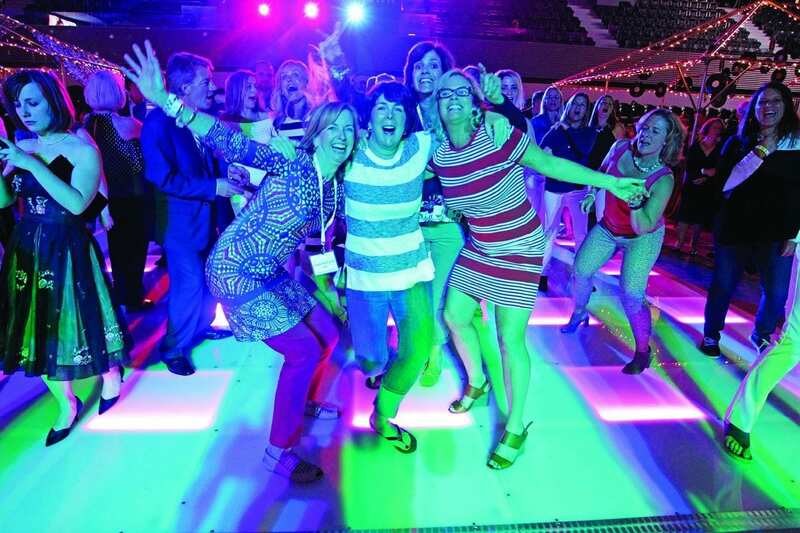 Graduates from the Class of 1987 swing to the music of Tavares at the Dancing Through the Decades event as part of the centennial celebration during Reunion Weekend 2017. From left are Deirdre Dowd ’87, Marybeth Noonan ’87, Karen Kenney ’87, and Kathy Hussey O’Brien ’87. Reunion Weekend 2017, for classes ending in 2 and 7, drew 2,067 alumni, family members, and friends to campus for three days of reminiscing, renewing ties, and Friar fun. Events included the traditional Golden Friars Mass and the all-classes barbecue, as well as a couple of new tweaks — a spiritual retreat and a guided tour of the statues and monuments on campus. Fourteen graduates were honored with awards presented by the National Alumni Association. 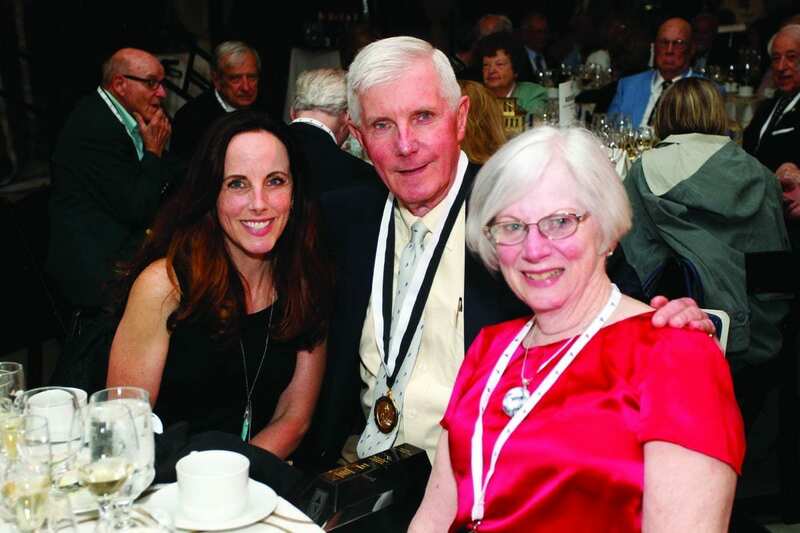 John T. Mitchell ’67, who received a Faithful Friar Award from the National Alumni Association, relaxes at the Golden Friars Dinner with his daughter, Margaret Mitchell Moore ’94, left, and his wife, Sara Mitchell.